The mid-day humidity envelops me like a blanket, smothering. My foot stumbles over rocks strewn on the path. My clothes cling to me. Sweat pours down my face. I swat at a fly that buzzes around my head. I can’t do this. This is too hard. The hill does not seem steep, more of a gradual incline. Yet, looking back over my shoulder I see I am climbing ever higher. I am amazed by how far I have come. I have no idea how much further I must go or can go. Breathing is labored. My chest hurts. My body screams at me to stop. My legs are heavy. My steps faltering. My knees weak. I bend over to rest my back and feel like I might crumble to the ground. I long to sit, to rest, to reflect, anything but moving forward. I know there are trees and a gurgling brook somewhere near by. I want to see them. I want to smell the woodiness of the forest. I want to drink the cold water. I want to feel hope. An invisible force slows me to a crawl. I will collapse here. I will stop. I cannot go forward when I do not know where I am going. I can’t do this. Why should I even try? Still something within me wants to move forward even though the circumstances seem confusing and overhwhelming, but there is a wall, a barrier keeping me from my destiny. I open my eyes and Jesus is there. He points to an area of nothingness. Yet, I can tell there is an invisible barrier. Where Jesus and I stand, the colors fade, but past a certain point, the point where the wall is, there is no color. It fades completely to white. I step up to the barrier and try to walk through, but I only bump into a solid object I can not see. Jesus looks at me with eyes that speak into my soul. I instantly know the wall represents a stronghold or a power that is slowing me down, holding me back. I must remove it. But how? “How can I remove this wall?” I ask. Again He looks at me. I look down. I hold an electronic device. “What is this?” I ask. I sense Him saying it is a weapon of power to clear away the emptiness, the void in my life. “What do I do with it?” Instantly I know I am to focus it and everything that is within me in order to clear away the lack in my life. I concentrate. I do want to feel again, to know who I am matters. To focus my life towards being all God wants me to be. I point the small remote towards the wall and push the only button. A white beam dances briefly in front of me. Suddenly, the wall falls with a thunderous clap. 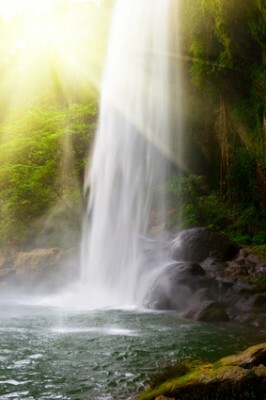 Before me stretches a lush green paradise with a bubbling creek running towards a waterfall. Brightly colored flowers dot a winding path that leads along the brook. I feel Him take my hand as we begin walking the path. I breathe in the fresh air. I hear the welcome cooing of doves and twittering of song birds. I smell the woods. I taste the dew that falls on my lips. I want the other members of the Godhead with me in this beautiful place. I ask Jesus to invite God the Father and the Holy Spirit to walk with us. They come, arms open and envelop me in their embrace. We are now walking beside the creek. As we continue, I notice the brook runs upstream towards the falls rather than downstream as would be logical. And yet there does not seem to be a need for logic in this place. The burdens I carry become too heavy for me to continue to put one foot in front of the other. Again Jesus looks at me. One by one, I hand my cumbersome difficulties over to Him. He takes my fear of failure and throws it into the creek of perfectionism. He takes my fear of success and throws it into the river of poverty. He takes my lack of knowing what to do and throws it into the stream of pride. He takes my belief that I can’t do this and throws it into the ocean of procrastination. 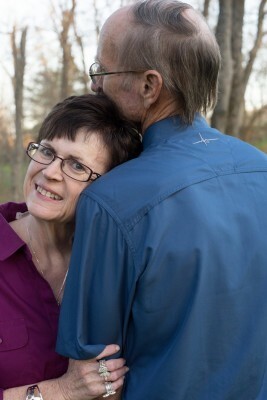 God the Father puts His arm across my shoulder and says, “You are my daughter. Have I not provided for you all these days until now? I know the path well. I planned it for you since before time.2 It is a path that leads to prosperity in thought and purpose. I keep walking and then I realize, I am doing this. I can do this! 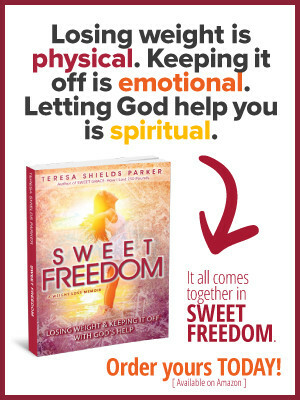 Teresa Shields Parker has books, video courses and groups available to help you move forward toward your destiny. 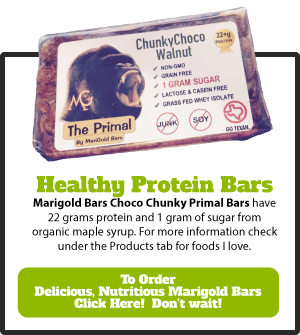 Check the Tabs on the menu bar at https://teresashieldsparker.com. 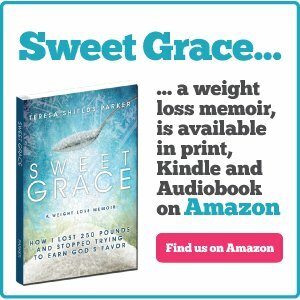 Don’t miss the latest products, including her books, Sweet Grace: How I Lost 250 Pounds and Stopped Trying to Earn God’s Favor and Sweet Change: True Stories of Transformation. 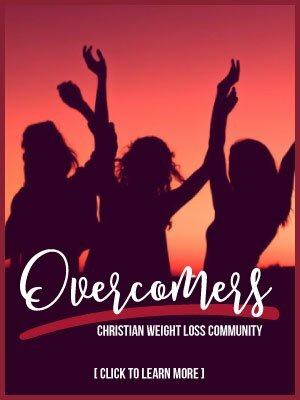 Check out Sweet Change Weight Coaching and Accountability Group where members are getting amazing breakthroughs. 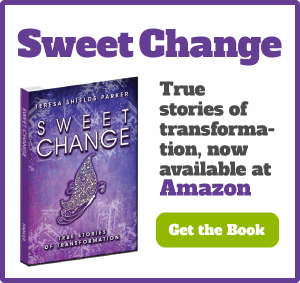 You can join Sweet Change now for the lowest price and only a two-month commitment. The hottest item by far is the FREE 10-day video course #KickSugar. 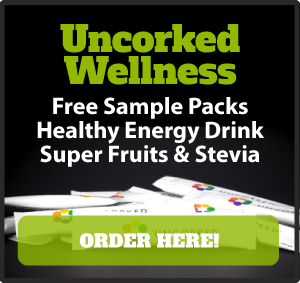 Just click any title to find out how to order or sign up! Sweet Grace for your journey! Awesome analogies! Your writing touches me. Thank you for sharing your heart! Hi – I was just wondering about the Holy Spirit being referred to as “Her”, in your recent blog post. I thought the Bible indicated it was a “He”….I understand the Old Testament sometimes refers to “wisdom” as “She”…but had never heard of the Holy Spirit being referred to that way. Can you clarify? Thanks. So let me ask you who is the “Us” referring to? And if the Us is God then God created man in His image male and female, therefore there is a female attribute to God. The Holy Spirit is referred to in John 14:16 as the Comforter and as Teacher in John 14:26 and other passages. Our mothers are the ones with the roles of comforters and teachers in our lives. So if there is an aspect of God that is female I see that as the Holy Spirit, especially in situations where comfort and teaching is taking place such as in this short piece. Am I saying Holy Spirit is a she? I am saying God goes way beyond our comprehension, He is both female and male and so much more that we don’t even have words for. Would I use “Her” to describe the Holy Spirit in a Bible teaching piece? Probably not. This piece is a feeling piece, a heart piece, a soul and spirit piece. So as the author I decided to let my feelings about the comforting warmth of the Holy Spirit show in this piece of prose. Holy Spirit provides Comfort for me. As a food addict who went to food for years for comfort, this is a huge revelation. My mother did not comfort me because she was ill. So I went to food and I bypassed the comfort of the Holy Spirit. TOday, I accept the Holy Spirit’s comfort like a real, loving mother would comfort a child. Hope that makes sense. I am not setting up a new theology, only pulling back the curtains of our minds to understand another aspect of GOd.